Over the next 12 weeks I will be blogging about the highs and the lows that my clients can potentially experience throughout the 12 week fitness challenge. In their own words each week we will explore a key topic, theme or experience. Our week one theme is titled ” It’s Time For A Change”. Throughout our lives we all come to a point were we acknowledge that we have to make a change. The first step however is often the hardest, the fear of the unknown, the fear of failing, not knowing where to start, or just the lack of ability to make changes can all make that first step seem like a huge leap. In our first article I have interviewed first time challenge participants, Jemma, Bridget and Renee. The challenge is designed for all shapes, sizes, ages, fitness levels and fitness goals. We cater for the individual so everyone’s initial story and journey will be a little different, however we are all on the same path to achieving better health. Why did you decided to sign up to the 12 week fitness challenge? I made the decision to sign up to the fitness challenge to lose weight and change my unhealthy lifestyle and bad habits. I wanted to get back to the weight I was after putting on a few kilos and thought the challenge would give me the kickstart that I need. Also to be accountable to someone I know is going to help me stick with it long enough to get my results. Bridget was actually the one that got me interested in the challenge. She asked me to do it with her and I thought it was about time I get back to a healthy me and stop making excuses. I would say to myself oh its baby weight or I just don’t have time. But after 2 years the baby weight excuse just wears off. What led you to this point with your body shape and health? I guess the major things that got me to this point was firstly having two kids (ages 2 and 6months) and doing shift work as a nurse. I’m so busy caring for everyone else that I forgot about my own health and well-being. If you add all that to some pretty poor eating and lifestyle habits the weight just piled on. But I’m ready to change that. Work and lifestyle at the time. I owned a pub so running that full time made my lifestyle hectic. Due to this I hired a chef so I lost my kitchen to a chef. The chef did all the cooking and let’s just say I got to try all his cooking. It tasted great but not good for the waist! Before my children I was actually quite active, I would play sport and go to the gym. I put my previous active life on hold to have 2 beautiful girls Brylie and Kyrah. Why is it important to you to achieve better health? It’s important for my self confidence and to demonstrate to my kids that healthy eating and fitness is normal and encouraged. I’ve taken a step back from running the pub so my lifestyle is a little less hectic. General health and mental wellbeing is important to me especially now that I’ve gone back to studying. It’s good for your confidence and you feel happier when your not carting extra kilos. Honestly I just want to live a long happy life with my family and pass on great health to them. What was your week 1 challenge experience like? Week one was good I was amazed I lost 4.5kg. I did my first group session and loved it. 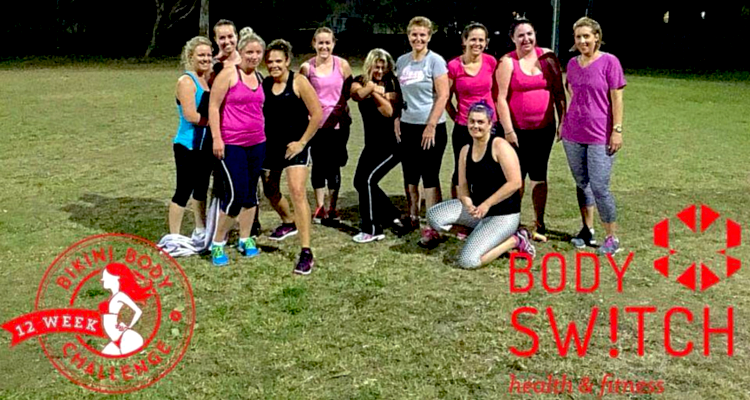 I even started indoor netball and have been using the exercise and ab training plans, which are so easy to follow on top of a personal training session. My biggest set back so far I would say are the headaches I got between day 4-6 from sugar withdrawals. Apart from this I’m feeling great. Week one didn’t didn’t start well for me. After my first group session I got the flu so my training suffered however I made sure I stuck to my food plan. It certainly made a difference with concentration while studying and getting through the day. After the week one hick up I’m looking forward to getting stuck back into training for week two! I must say I was incredibly nervous about walking into the gym, weighing in and completing my 1st session but each time I conquered those nerves. I felt more confident knowing that I am doing this fitness challenge for myself. After the first session I was in a world of pain but it didn’t last too long. I’m really enjoying the training sessions now. At the end of the first week I have lost just over 2kg’s, cut out sugar, eating healthy, exercising at home, have lots of energy and am feeling great! Can’t wait to see what changes I see in 12 weeks. Week one of a fitness challenge can often be the most challenging. As you have heard reducing sugar intake can lead to withdrawal symptoms like headaches, goes to show how addictive sugar can be. Starting any fitness challenge or exercise program will lead to muscle soreness or even being physically sick. This is due to lactic acid (bad toxins) in the muscles. It is not a sign that you are unfit and even the most experienced personal trainers will suffer from this when changing up their routine. So please don’t think that this is to hard and isn’t for you. 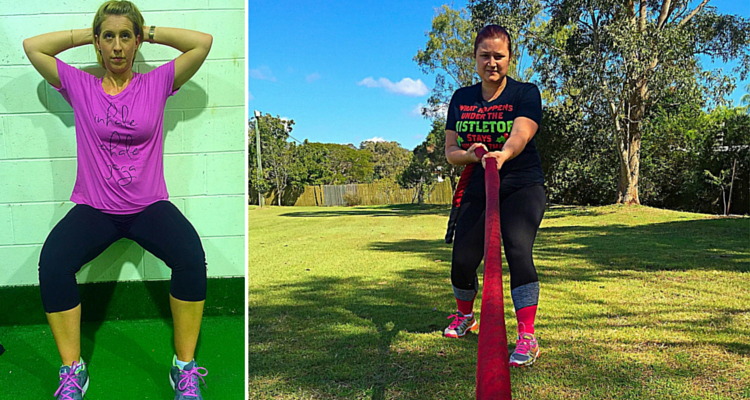 Any exercise program you undertake shouldn’t be a quick fix. As I always say to my clients this isn’t just a 12 week challenge, it’s a lifestyle change. I hope this article has encouraged you to pick up a weight, go for a run, or put down that fatty junk food. If anyone needs assistance in making a change I am happy to help. You can email me at kody@bodyswitch.com.au. Stay tuned for the next article “You’ve Got To Be Willing To Change To See A Change”.